Holy effing crap. If you had told us a year ago that one day Hot Wheels, the most red-blooded American toy there is, would have a takeyari-equipped bubble-flared shark-nosed zokusha in its lineup, we would have called you baka. And yet, here it is — the 2012 Mad Manga. This is the brain child of Mattel’s Jun Imai, who’s brought us iconic nostalgics like the hakosuka and kenmeri Skylines, the AE86, Datsun 510, and SA22 RX-7. Imai-san tells us that this car was loosely inspired by the C110, which you can catch a glimpse of in the C-pillars. 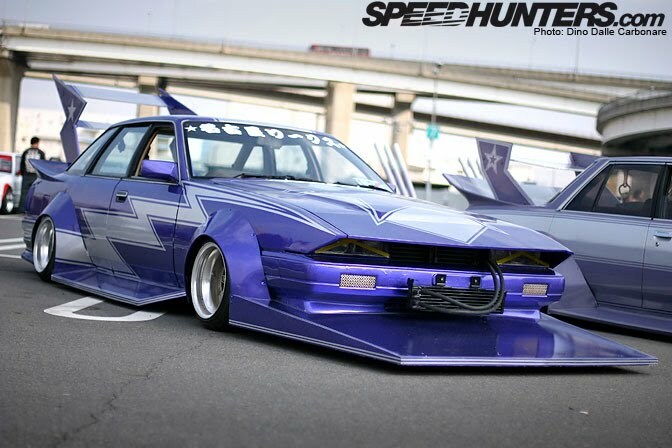 The rest, from ankle-slicer air dam to mile-high exhaust, is pure Japanese bosozoku excess, and we adore it. 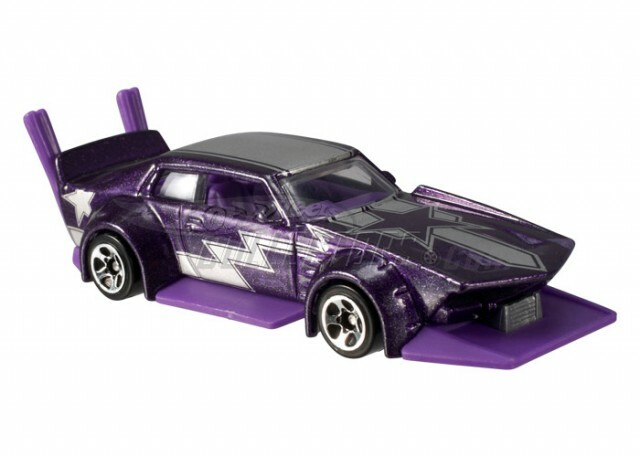 Mattel lets Matchbox handle the stock looking scale models, freeing up Hot Wheels to go nuts with hot rods, lowriders, and race cars — the extreme side of car culture — and you can’t get more nutty than a purple stars-and-lightning schemed zokusha. Way to go, Hot Wheels!!! it’s nice and all, but how does it handle down the orange track?.. Bosozoku & Rad Rod, my 2 favorite custom styles. Best thing since things were invented. LOVE IT. I hope they come out with many boso paint jobs so I can buy multiple examples of each one! Thank you Jun! Recolors and future new decos on this one will be a lot of fun. Enjoy guys! Awesome! Is it out yet? I have no words for this! It’s just too awesome! While I’m not so crazy over Boso, I definitely can appreciate the Japanese roots. LOL, as predicted some of the HW collectors aren’t feeling it…I guess it’s too “culture” for them. A nice CONGRATS to HW for holding it down, and giving car enthusiasts of ALL backgrounds what we want.